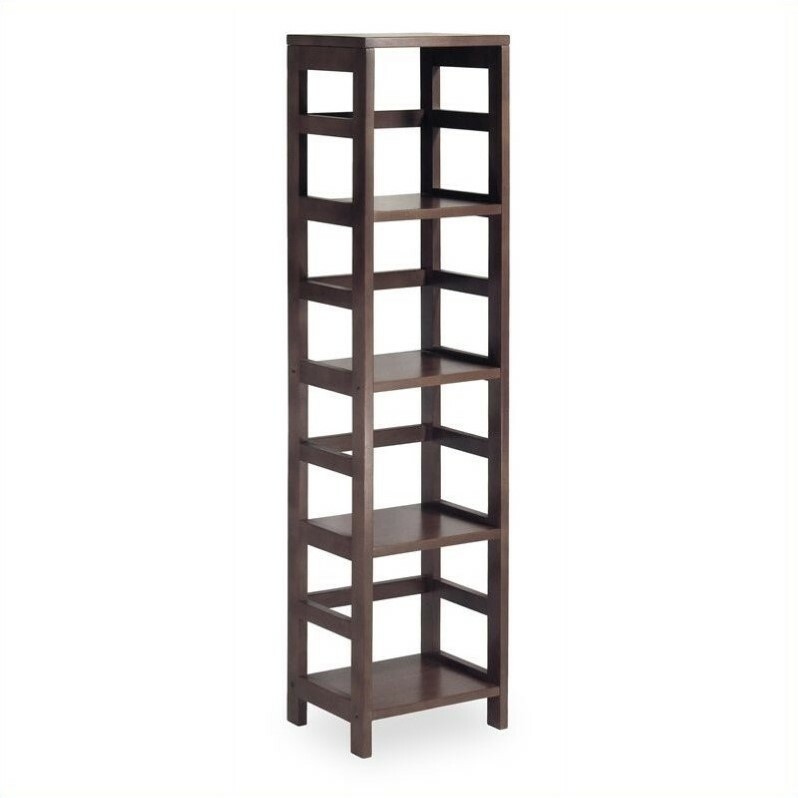 With its classic, sturdy design, this elegant shelving unit fulfills both style and functional requirements. Its four sections hold the Espresso Small Storage Basket perfectly. Mix and match with other Espresso Storage Shelves. Finish your stylish living room, games room, office, basement or den, with fun and functional furniture from Winsome Furniture. These stylish transitional pieces are versatile enough to work with many décor themes and color schemes. From bar stools and coffee tables to bookcases and kitchen carts, Winsome brings you accent furniture for your entire home. Turn any ordinary den or basement into a fun-filled games room with Winsome bar and game room furniture. Start with a home bar and add Winsome furniture bar stools that suit your taste, modern or traditional. Or for a smaller space consider a pub set with a Winsome wine rack. Winsome has the pieces to help you mix and match your way to a better entertainment space. Furnish your first apartment or give your living room a quick upgrade with a new Winsome TV stand. You’ll find affordable complementary end tables and coffee tables, as well as matching Winsome media storage to help you create a coordinated look on even a modest budget. Winsome office furniture is available in beech, walnut, and black finishes, in adaptable styles that can be incorporated in to a variety of décor styles. Browse a selection of simple, classic wood Winsome Furniture computer desks. Also look for versatile shelving and cabinet products including Winsome's wooden bookcases, some compatible with specially designed wicker storage baskets. Winsome kitchen furniture and accessories can be the perfect the finishing touch to your country kitchen or dining area. Dining chairs from Winsome are sturdy and practical, ideal for classic tastes. Get more storage and food prep surface area with one of their Winsome kitchen carts, along with a baker’s rack, buffet table, or microwave cart.